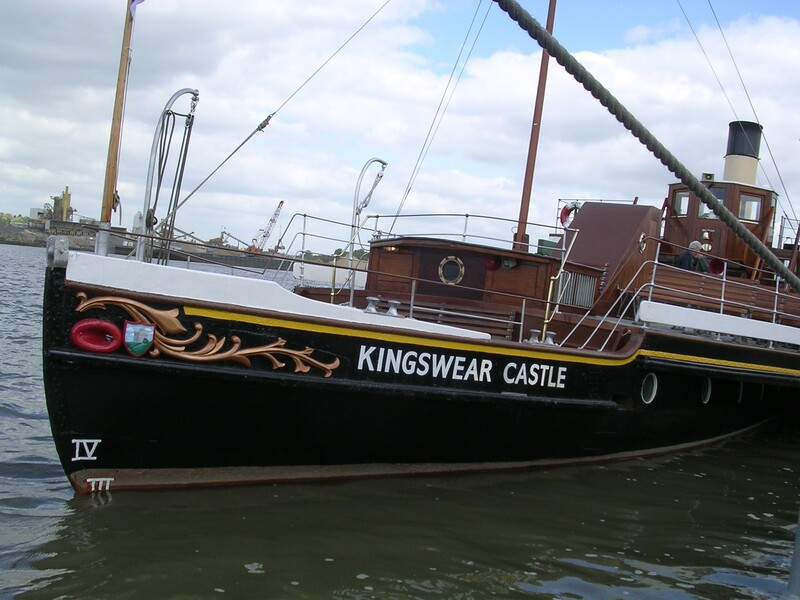 KINGSWEAR CASTLE is the remaining operational river paddle steamer and the only operational coal-fired paddle steamer in the UK. 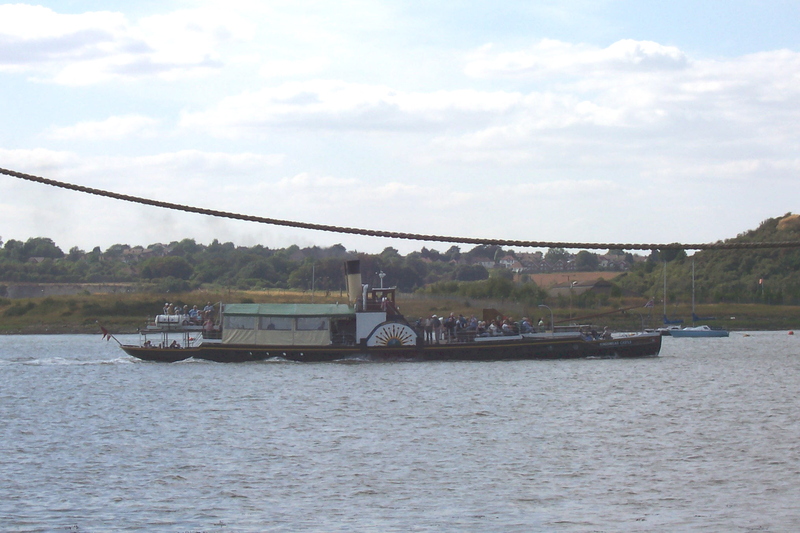 Her layout and appearance, strongly reminiscent of Edwardian excursion vessels, demonstrate that the technology of such vessels hardly changed between 1904 and 1924. The compound diagonal steam engines by Cox of Falmouth are unusual in having the steam cylinders ahead of the paddle shaft, instead of astern of the shaft as is usual British practice. 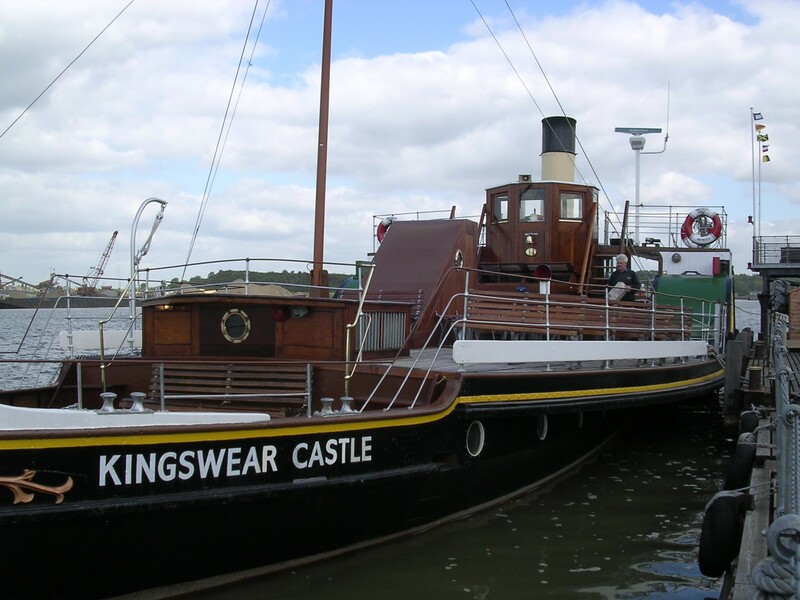 During the Second World War, KINGSWEAR CASTLE was initially used by the Admiralty as a stores depot in Dittisham. In 1941, she was chartered by the United States Navy as a liberty ship, carrying personnel and stores at Dartmouth, still in her peactime livery. 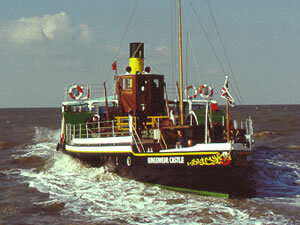 She returned to her peactime duties in 1945, and in the winter of 1961/62, a new boiler was fitted. 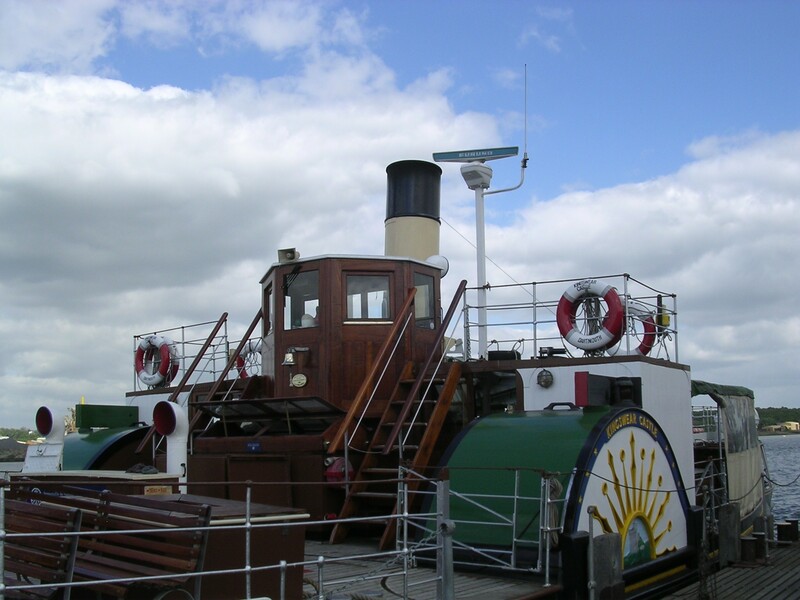 She became the last paddle steamer on the Dart and the 1965 season was to be her last, at the end of which she was laid up in Old Mill Creek. 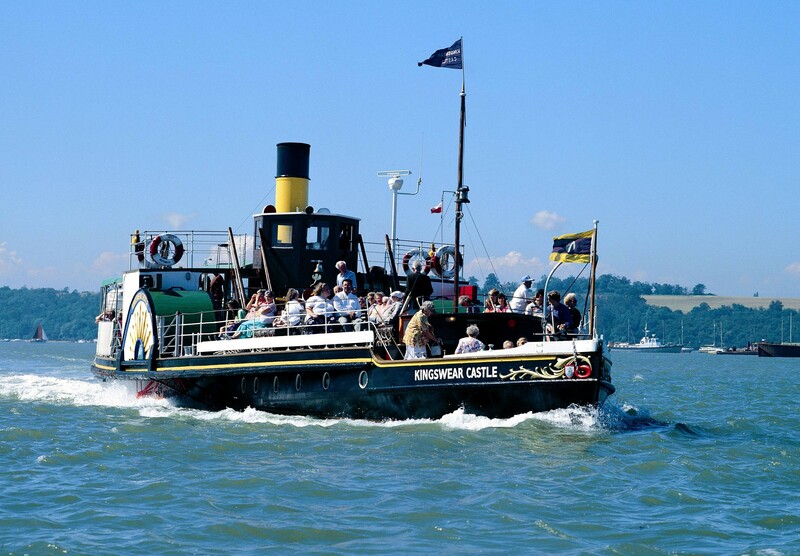 In the spring of 1967, she was bought by the Paddle Steamer Preservation Society (PSPS) for £600 and in August of that year was towed to the River Medina, Isle of Wight, for charter to Riddetts. This charter was intended to be a stopgap until the society raised enough funds for conservation of the ship. 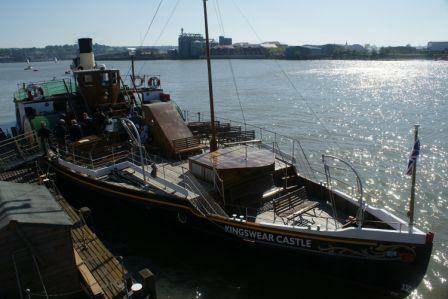 However, in the spring of 1970, KINGSWEAR CASTLE was moved from her river mooring to a mud berth and became subject to vandalism and her condition deteriorated. 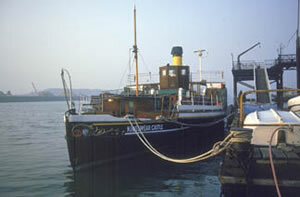 PSPS terminated the charter, and in June 1971, she was towed to the Medway. 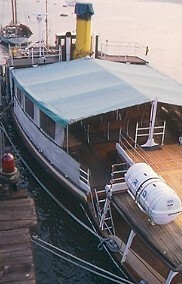 A restoration project gathered momentum, and by November 1983, she was able to steam again on trials. For the 1984 season, she did not have a full DTI certificate and could only take twelve passengers on her sailings from Strood Pier. After further work, a certificate for 250 passengers was issued in May 1985 and she started a programme of sailings from the Thunderbolt Pier, in Chatham Historic Dockyard. 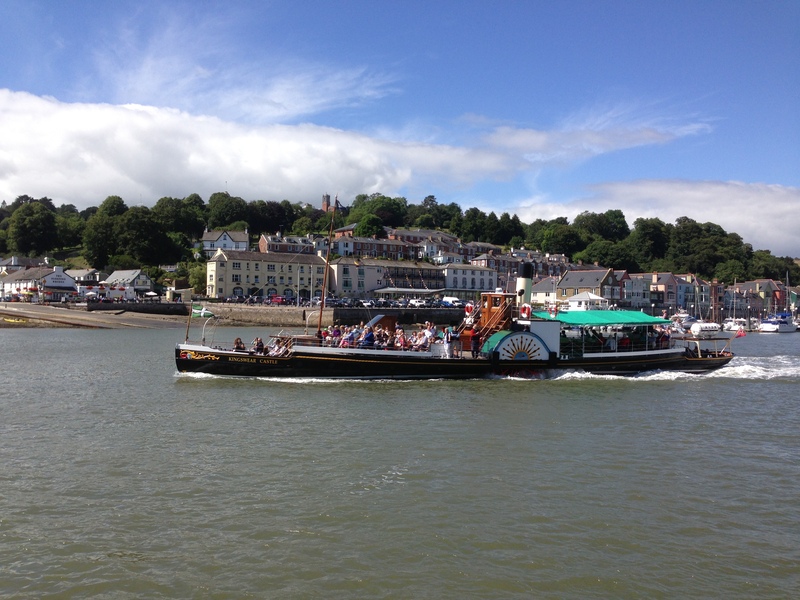 A plan to return the ship to the River Dart was dropped, and KINGSWEAR CASTLE has remained in service carrying passengers on afternoon, evening and charter cruises on the Medway and Thames. 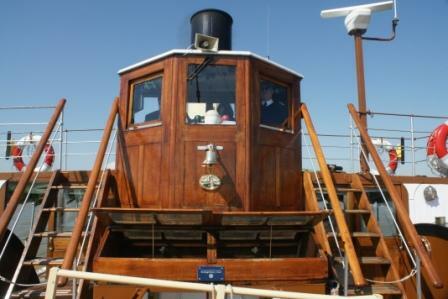 Further rennovation has since involved replacing all the decks and the underwater steelwork, and in spring 2001, she received a new coal-fired boiler, built by Wellman Robey of Oldbury, near Birmingham, to a traditional design similar to its predecessor. Source: Paul Brown, Historic Ships The Survivors (Amberley, 2010), updated March 2011.